The EUR/USD currency pair is forming the first descending impulse, but its structure is quite weak and I think the price is very unlikely to continue falling down. Today the pair may start growing up towards the level of 1.3085. If later the price breaks minimums of the first impulse, the pair may continue a corrective movement. 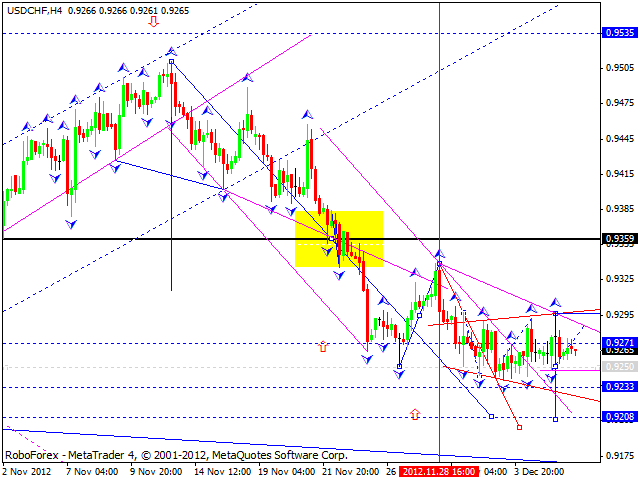 The GBP/CHF currency pair is moving inside a narrow consolidation channel. Today the price may fall down towards the level of 1.6070 and then start forming one more ascending structure to break the target at 1.6150. Only after that, in my opinion, the pair may start forming a reversal structure. The USD/CHF currency pair continues moving inside a narrow consolidation channel, expanding it a little bit in both directions. 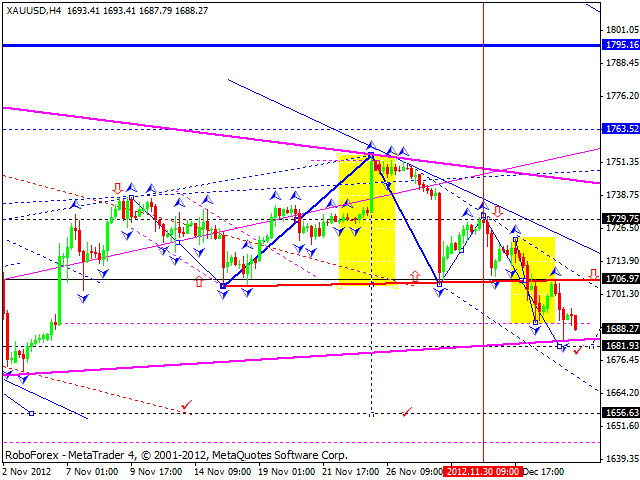 Today the price may continue falling down and break minimums of the wave. 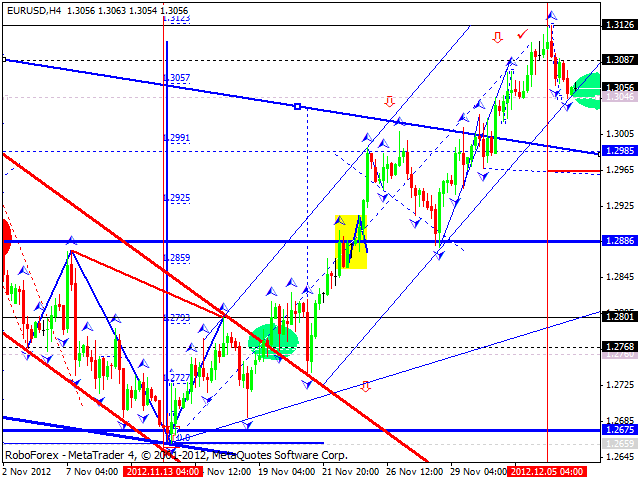 A predicted target is at 0.9200. The USD/JPY currency pair continues moving inside a squeezing “triangle”. Technically it looks like a continuation pattern, “flag”. Today the price may grow up towards the upper border of the “triangle”, make a reverse, and then fall down towards the pattern’s lower border. 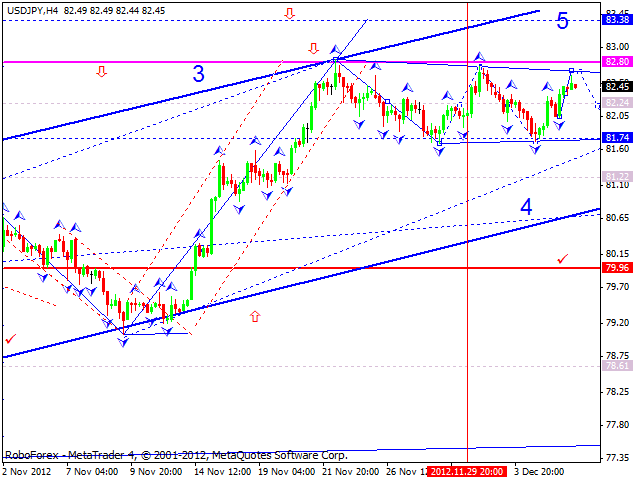 After that, I think the pair may move upwards and reach the target at 83.35. 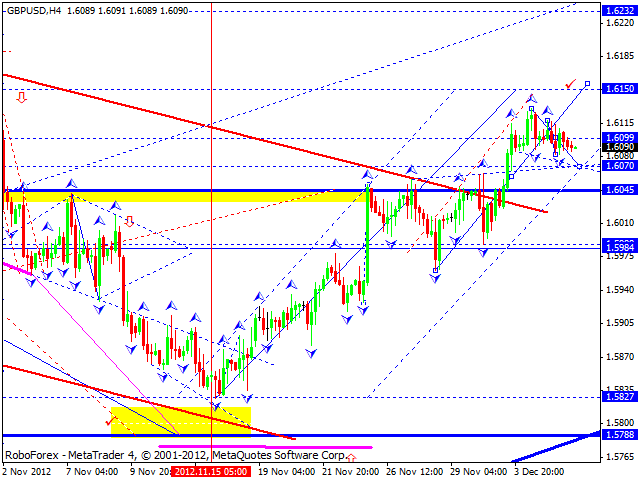 Australian Dollar continues moving upwards, but so far it hasn’t been able to stay above the level of 1.0480. Today we can see that the pair is growing up to break this level. After the level is broken, the price may move upwards to 1.0520, return to the level of 1.0480 to test it from above, and then continue growing up towards the target at 1.0560. Gold couldn’t start an ascending movement and right now it is below the level of 1706. In my opinion, such movement structure indicates that the instrument may reach a local target at 1681, grow up towards the level of 1706, and then form one more descending structure towards the main target of this descending wave at 1656.